Special guest speaker Silken Laumann will be talking to us about the importance of Mental Health Awareness in our community. 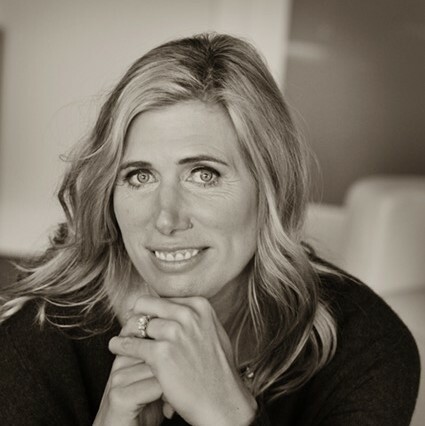 Four-time Olympian Silken Laumann is one of Canada’s most inspirational leaders, a bestselling author, and a highly recognizable and beloved athlete. As an elite athlete, writer, and life coach, Silken has made her work reaching her own potential and helping others reach theirs. Inspiring, funny, thought provoking and always down to earth, Silken opens her heart and leaves her audience ready to unlock their own potential and aspire to their own greatness. What prevails in Silken is the human spirit, the humor to keep learning through the failures, the courage to see opportunities within obstacles, and the tenacity to never stop trying to be better. Silken’s Olympic story is legendary and inspirational. As reigning world champion, Silken fought back from a devastating rowing accident to win a bronze medal in the 1992 Summer Olympics in Barcelona. Her stunning 10-week recovery and her courage in the face of almost insurmountable obstacles endeared her in the hearts of Canadians. Silken was inducted into the Canadian Sports Hall of Fame in 1998, having won three Olympic medals and four World Championships. She is also the two-time winner of the Canadian Female Athlete of the Year award and recipient of the Lou Marsh award in 1992, as Canada’s top athlete. Although her competitive rowing career ended in 1999, her ability to inspire continues. Silken is authentic and honest about her life journey. In her memoir, Unsinkable, Silken shines a spotlight on all the obstacles she has encountered—and overcome. Silken speaks candidly about her athletic success and triumph over physical adversity, but also the intense personal challenges of her past and the fierce determination she applies to living a bold, loving and successful life today. Silken has learned to approach each day with energy and optimism while continuing to dream big. She has used her notoriety to raise money and awareness for a variety of initiatives, including GoodLife Kids Foundation as their Kids Champion, raising funds to support national, provincial and local programs that provide sustainable physical activity opportunities for kids ages 4–14; Right To Play International, an organization that brings sport and play to the most disadvantaged children in the world; and WE Day, a celebration of youth making a difference in their local and global communities. In 2015, Silken received a Star on Canada’s Walk of Fame.